Cheers combines the skills of the most talented designers, the most experienced coordinators and the hottest event chefs to offer the finest service available. Whether youâ€™re planning a corporate event for thousands, or dinner for eight, weâ€™ll plan every detail of your event and create the perfect menu to compliment the theme. And if you need the perfect location for your event, weâ€™ll provide that too. Please visit our website for a more detailed description of our service. Cheers Catering Inc. has built a twenty year relationship with Entertainment Express. 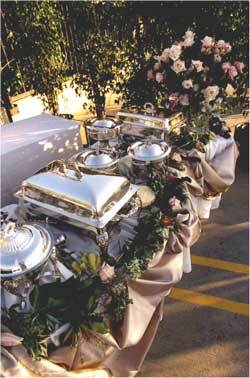 Both companies work closely together to provide our clients with the best catering and entertainment services.